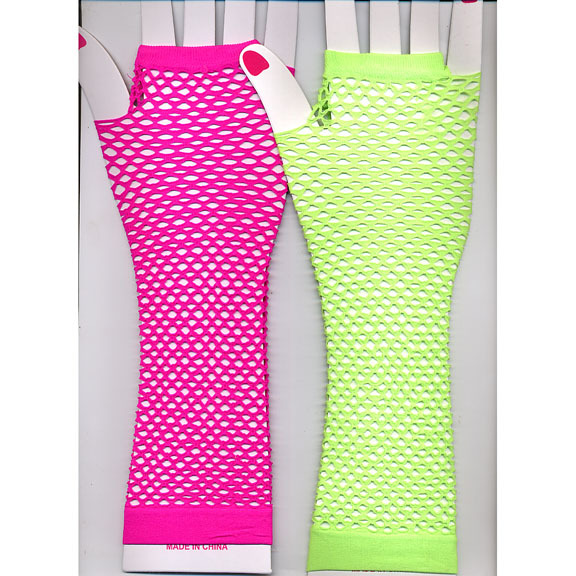 $15/DZ, NEON COLOR FISHNET FINGERLESS GLOVES THAT GO UP TO THE ELBOW. 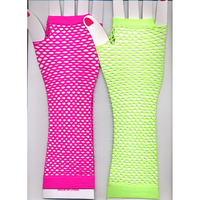 HOT PINK, HOT YELLOW, HOT BLUE, NEON ORANGE, AND NEON GREEN. BIGGEST JANIS JOPLIN LOOK WITH OCEAN COLOR LENSES, 2.7/8" DIAM.